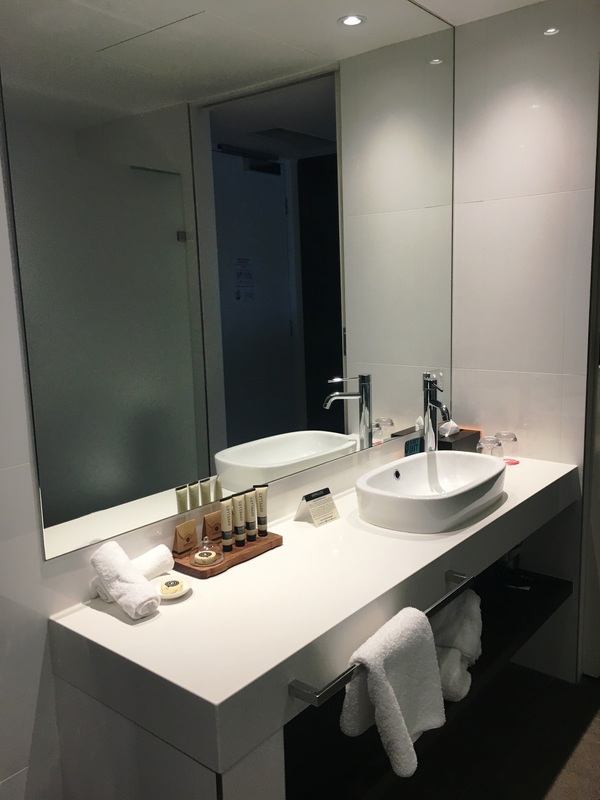 The East Hotel, located in Canberra's inner south, was the perfect place to stay for our recent weekend getaway. Combining a modern boutique hotel vibe with all the amenities of a serviced apartment, we found it to be welcoming, comfortable and family-friendly. Newly built and opening in 2012, East Hotel offers a range of accommodation in serviced apartments - from studio apartments, one and two bedroom apartments, luxe apartments (featuring spa tubs) and an awesome kids cubby room (with bunk beds, bean bags, kids mini bar, board games and an Xbox). There is also a range of meeting and conference facilities in house and three dining options attached to the hotel. 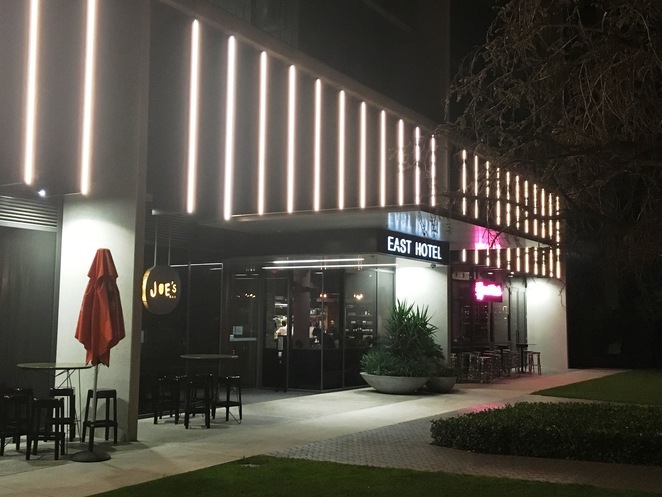 The look and feel of East Hotel is vibrant and contemporary, both inside and out. On arrival, we were welcomed warmly by staff as we checked out the funky lobby area which features a huge media wall, an array of colourful armchairs, complimentary reading material and large jars of lollies for guests young and old to enjoy. Parking was included with our accommodation package and we were invited to head to the parking station underneath the hotel. My family had the pleasure of staying in a one bedroom apartment for two nights recently. 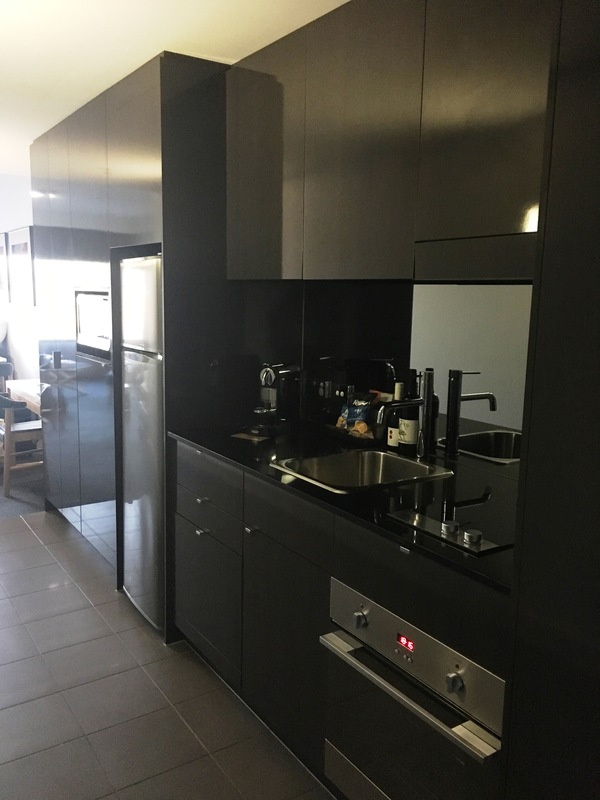 The apartment included one bedroom with a king size bed, a large combined dining and lounge area, a small balcony, work desk, large bathroom, large kitchenette and laundry facilities. The kids were catered for with a sofa bed and rollaway bed in the lounge area. Free WiFi is included which is a huge bonus when you are travelling with teens. We loved the bright and spacious lounge area with its contemporary furnishings, bright artwork and large scale windows which help to create a sense of space in the room. Our room was situated on the Giles Street side of the hotel so our view was not spectacular, overlooking the adjacent Kingston Hotel, however, we did still appreciate the large windows and being able to step out on to the balcony. The bedroom was large and included a king size bed featuring a luxurious pillow-top mattress and a gorgeous snuggle blanket. In the bedroom, there is also a TV and an occasional chair. The bedroom has a sliding opaque door which can be used for privacy if desired. The bathroom was also quite spacious and well laid out, with two entrances - one from the bedroom and the other from the kitchen area. There are separate cubicles for the shower and toilet allowing more than one family member to use the bathroom at the same time. We also found there was plenty of cupboard space and enough places to hang towels, something you don't often find in a hotel room. Guests are also provided with hotel robes and slippers. 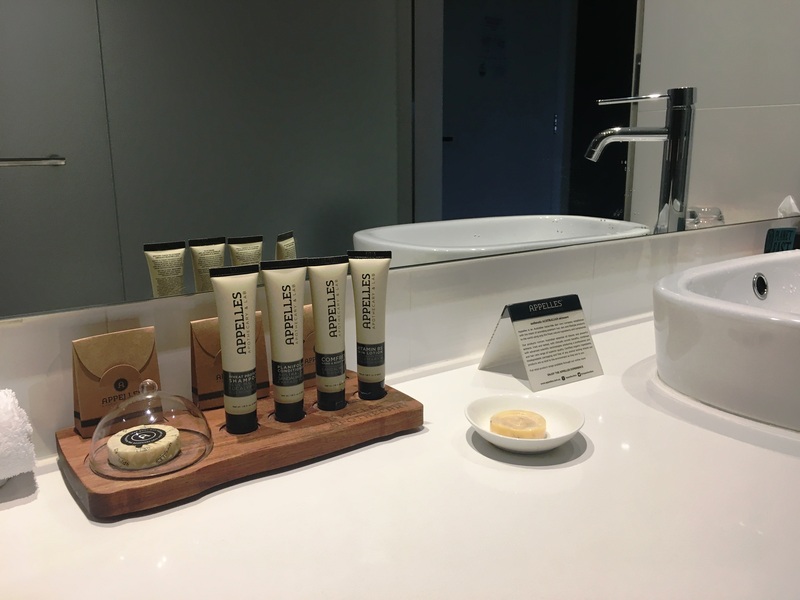 In the bathroom, guests are treated to complimentary Apelles Apothecary products, including soap, shampoo, conditioner and body lotion. The products have an emphasis on natural and organic ingredients from renewable sources as well as environmentally friendly and recyclable packaging, aiming to be both good for you and the environment. I am happy to report that the Mandarin Peel, Rosemary and Cinnamon Bark Skin Lotion smells absolutely divine and feels refreshing and moisturising on the skin. The kitchenette was very well-equipped with a large fridge, microwave, dishwasher, oven and 2 burner hotplate as well as a DeLonghi Nespresso machine. The kitchen also included crockery, cutlery, glassware and cooking utensils. 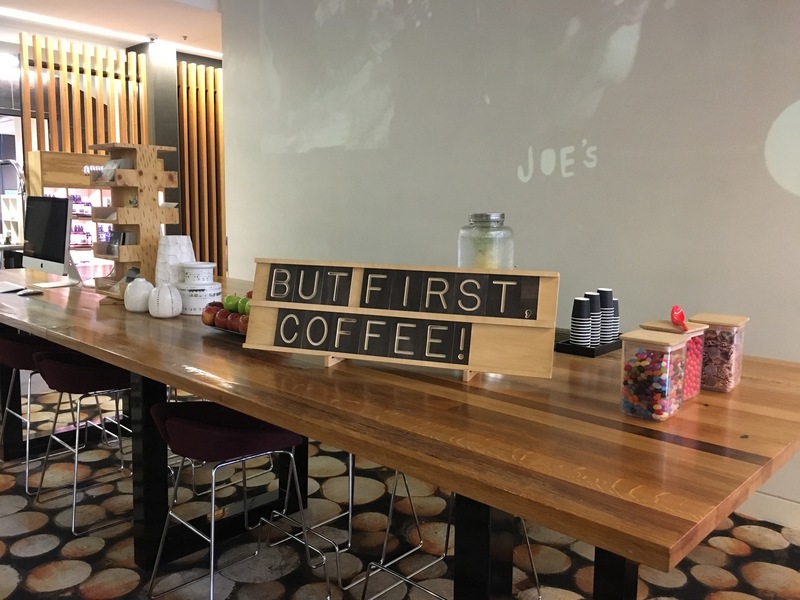 We always find it handy to have full kitchen facilities, especially for a quick breakfast or lunch when you are on the go. Tucked away in a cupboard at the end of the kitchen we found a washing machine and dryer. Other attractive inclusions are the full sized wardrobe with ample hanging space, iron and ironing board and safe. On the ground floor of the hotel, you will find three additional dining options. Agostinis is a family-friendly Italian restaurant and is open for lunch and dinner. While we would have liked to have dined here, unfortunately, we did not book ahead and found they could not fit us in. 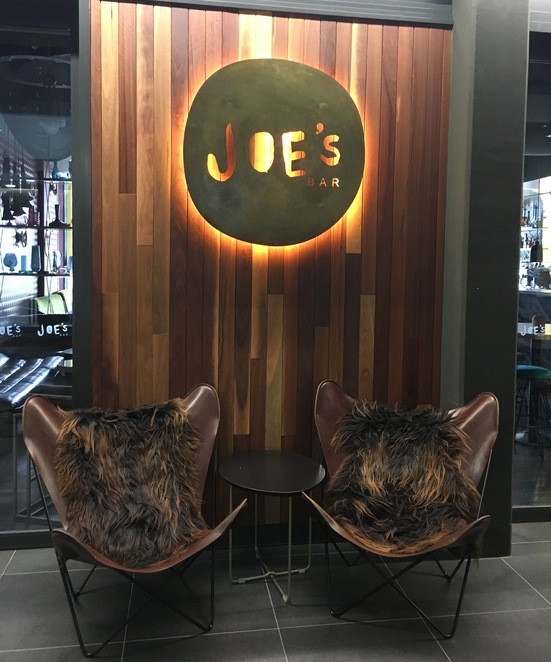 The other dining options are Joe's Bar, serving a curated wine list, classic cocktails and contemporary Italian fare and Muse café which combines a love of food, wine and books and is open for breakfast, lunch and dinner. Other hotel facilities include a gym and a number of complimentary bikes available for guests to use. While we didn't make it up to the gym we did take advantage of the free bikes which were easy to book through hotel reception. The hotel can also supply helmets, a map of local cycling routes and a bike lock in case you want to stop anywhere along the way. 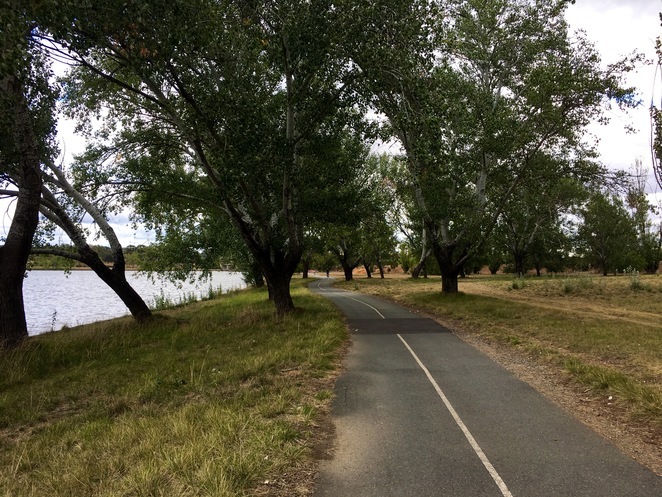 We absolutely loved our afternoon bike ride - from the hotel to the Kingston Foreshore, then along the Eastern Cycling Loop taking you past the Jerrabomberra Wetlands Nature Reserve and around the eastern side of Lake Burley Griffin, past the National Carillon, over the Kings Avenue bridge and back through Bowen Park. We also stopped in at the Canberra Glassworks Hot Shop along the way to see some live glass blowing action. 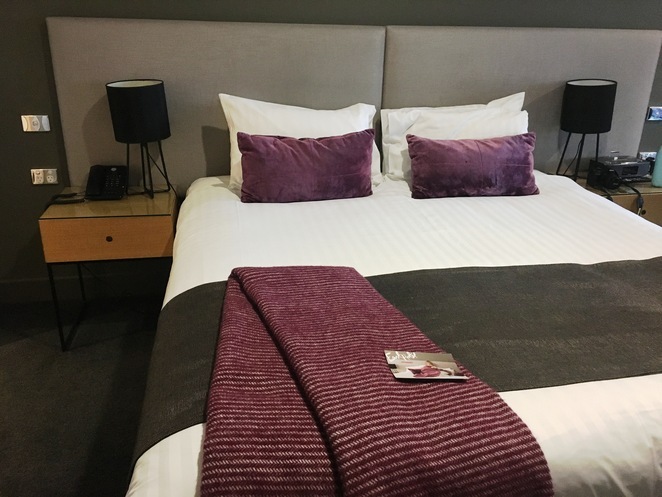 East Hotel is situated in a great location, within walking distance to Manuka restaurants and the Kingston Foreshore area. Or if you are attending an event at Manuka Oval, it is a mere stone's throw away, at the end of the street. Furthermore, we found the hotel was only a short drive away from Canberra's major tourist attractions. The staff at East Hotel were very welcoming, friendly and helpful and we could not have been happier with our stay. 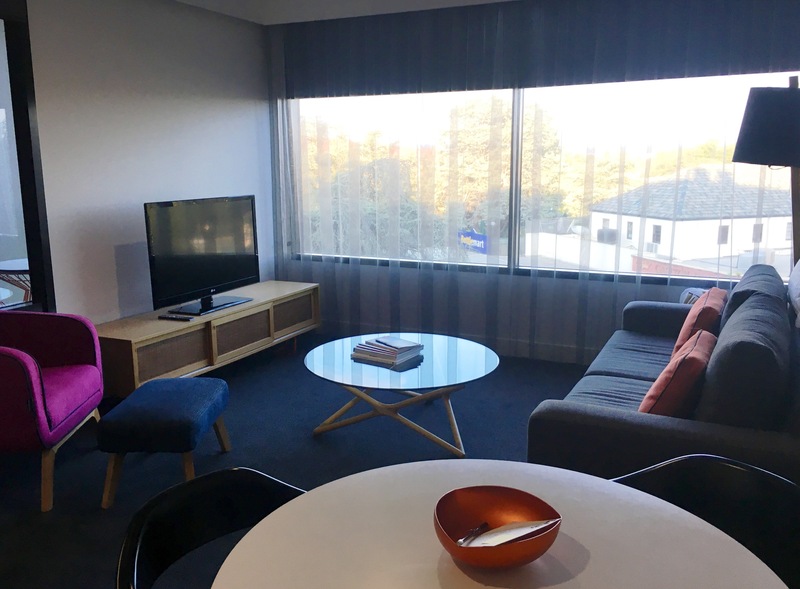 Rooms at East Hotel start from $230 per night. For the standard of accommodation and service, we think it is great value for money. To check out the accommodation packages available please click here. For us, East Hotel felt like a home away from home and we will definitely be back on our next visit to the capital. East Hotel is located at 69 Canberra Avenue, Kingston ACT.